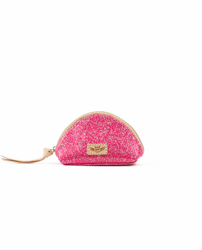 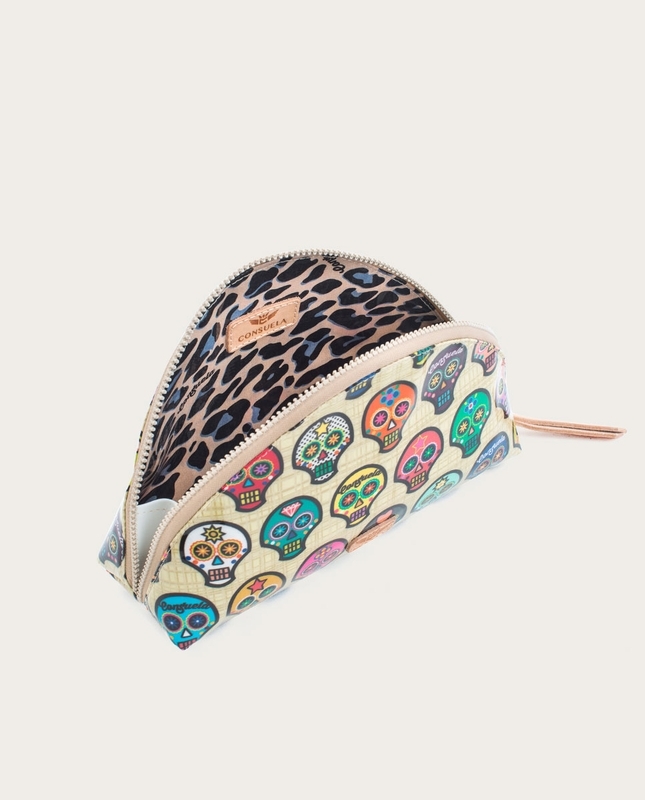 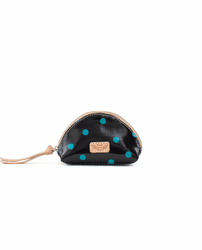 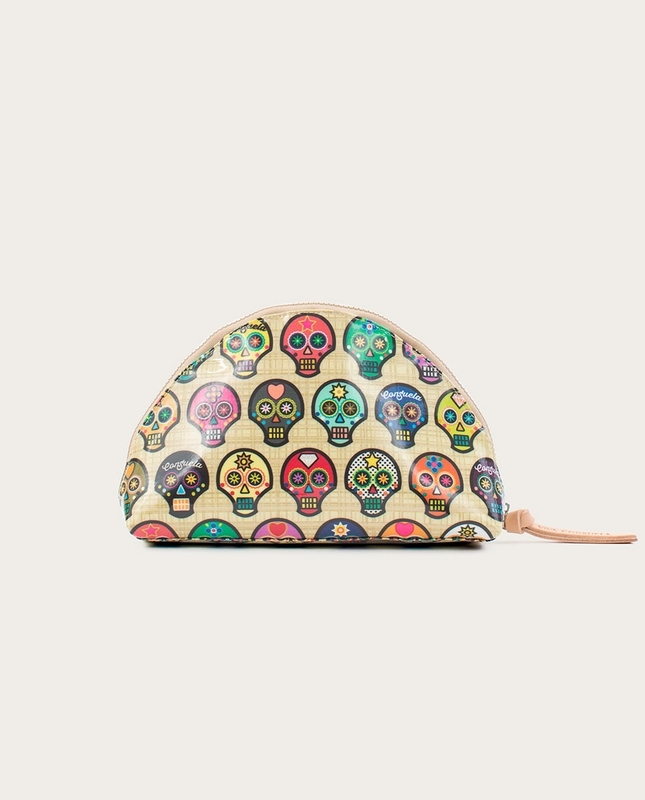 Great for cosmetics or cords, Consuela's Sugar Skulls Large Domed Cosmetic is lined in Blue Jag print and features an inside zip pocket for small items. 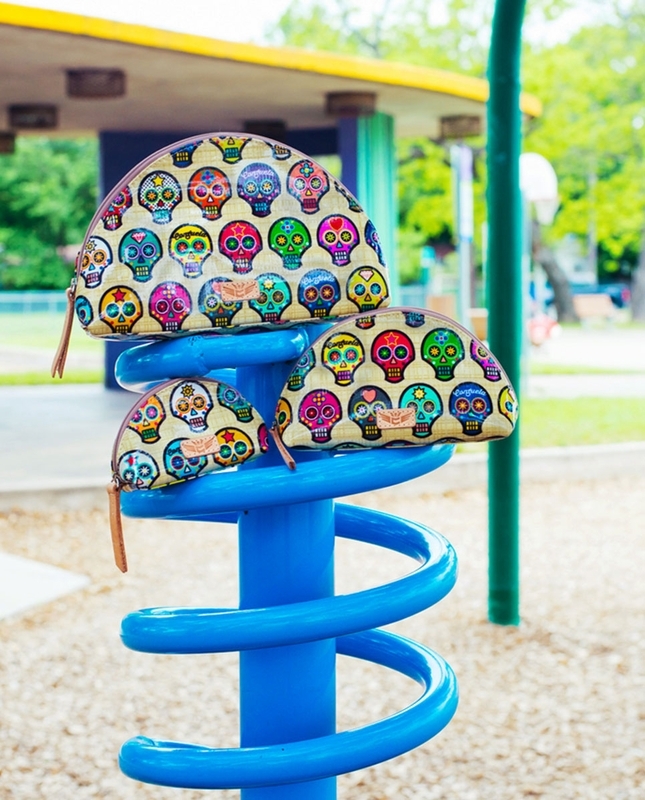 All items in Consuela's Legacy Collection are made in their unique ConsuelaCloth�, known for being durable, vibrant, and easy to care for. 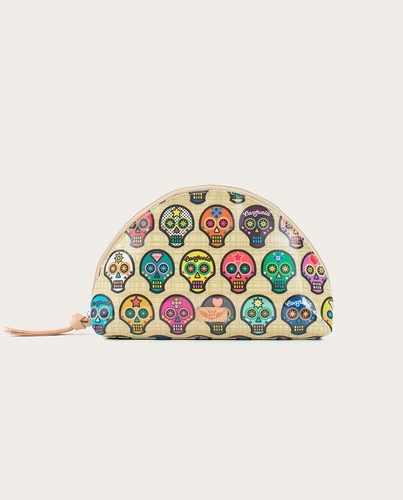 VIVA CONSUELA!